Baseball is a game of failure. The great Babe Ruth hit 714 homeruns, but struck out 1,330 times. Cy Young, considered by many to be the best pitcher ever, won 511 games, but he lost 316 times. Failure is the norm in baseball, not the exception. And while failure and errors are very much part of the game, baseball also teaches us how to continue after failure. The game teaches us how to pick ourselves up after we fail. Just ask Bob Brenly. 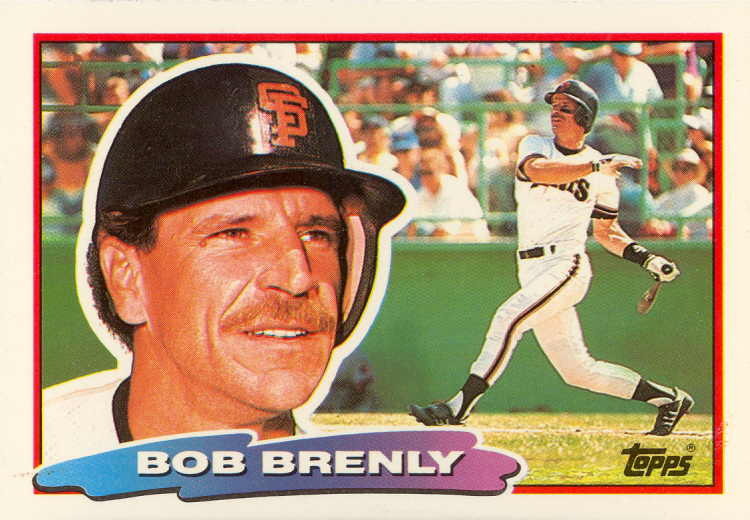 In 1986, Brenly was playing third base for the San Francisco Giants. In the fourth inning of a game against the Atlanta Braves, he made an error on a routine ground ball. Four batters later, he kicked away another grounder and then, while he was scrambling after the ball, he threw wildly past home plate trying to get the runner. Two errors on the same play. A few minutes later, he muffed yet another play, to become the first player in the Twentieth Century to make four errors in one inning. Not a good day by any standard. But the day didn’t end in the fourth inning for Brenly. After making those four errors, Brenly came to bat in the fifth inning and hit a homerun. In the seventh, he hit a bases loaded single, driving in two runs and tying the game. But the day still wasn’t over for Brenly. In the bottom of the ninth with two outs, Brenly hit a massive homerun into the left field seats to win the game for the Giants. Brenley’s scorecard for the day came to three hits in five at-bats, two home runs, four errors, four runs allowed, and four runs driven in, including the game-winning homerun. Failure is the norm in baseball, but baseball gives you a chance for redemption after you fail. Like baseball, life gives you a chance for redemption after you fail. Peter learned that lesson one morning while sharing breakfast with the Risen Jesus.